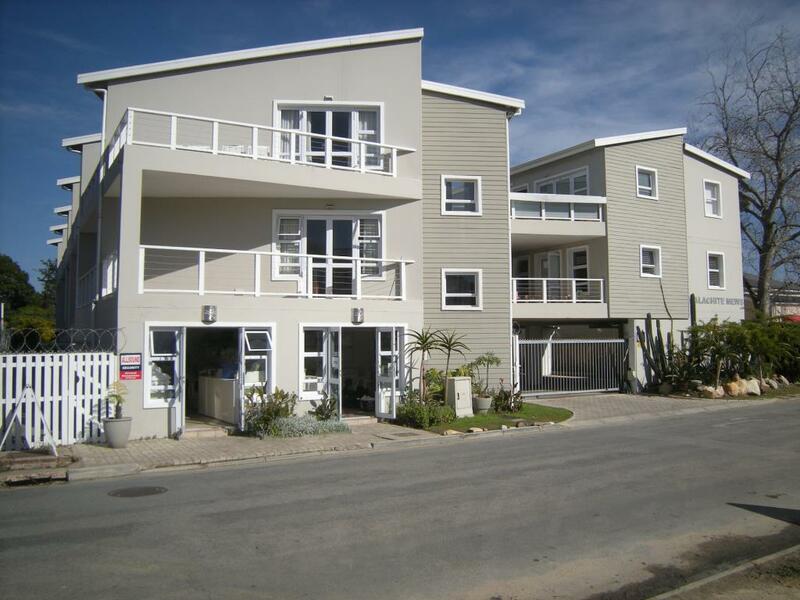 Cosy one bedroom apartment situated in a complex, walking distance from the Waterfront." Cosy one bedroom apartment situated in a complex, walking distance from the Waterfront. The apartment comprises of 1 bedroom with an en-suite bathroom with a shower, an open-plan kitchen and living area. The kitchen features a breakfast bar with an oven and stove. Open plan living room and kitchen, plus a patio. The central location of the complex offers access to restaurants, shops, and sports bars. Guests can visit Knysna Forest, Noetzie Beach, and Pledge Nature Reserve. Featherbed boat cruises depart from the harbour, which is 850 m from the apartment. Plettenberg Bay Airport is 33.9 km away.